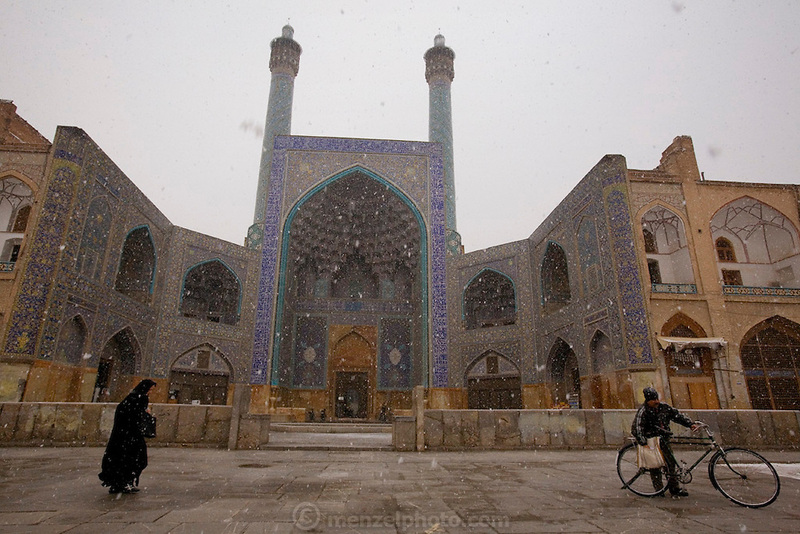 Snowfalling over the magnificently tiled Masjed-e Imam (Royal Mosque) (Also referred to as Emam Square). Built by the Safavid ruler, Shah Abbas 1, as part of the renovation of the central square of Isfahan. The architect was Ostad Abu'l-Qasim. (Imam Square is also called Naghsh-i Jahan Square).